90% of e-mails sent worldwide can be regarded as spam; undoubtedly a large proportion of that spam will be scams trying to get your hard earned money. 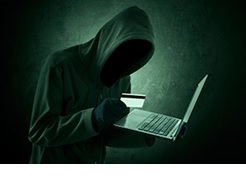 A recent survey has revealed the top five email scams to be aware of this year. A few pieces of key information may be all the scammers need to get into your account. Emails often say there’s a problem with your account, and ask you to update your account details, either by email or by clicking on a link. Never click on a link in an email. Call your bank or go directly to your bank’s official website. PayPal emails are definitely on the increase. A legitimate email from PayPal won’t ask you for sensitive information like your password, bank account, or credit card details, nor will it have attachments or ask you to download/install any software. The HMRC were notified of almost 75,000 scam emails between April and September 2014, and they were only the ones that were reported! Promising a tax rebate, such emails often ask for key information including account numbers and passwords to make the payment. The HMRC never ask for bank details via email. Other HMRC scam emails can take several forms – a mistake on a self-assessment form, or that a tax notice has been issued. You may be asked to verify your identity by providing a copy of your passport. Never respond to these emails or provide a copy of your I.D. – for queries, contact the HMRC directly for advice. Emails seeking money for services or help continue to be prevalent. Scammers are constantly refining this technique, which will often prey upon the most vulnerable with desperate pleas for aid or offers of low investment and high return. Unsolicited contact, promising a return too good to be true – will be exactly that.